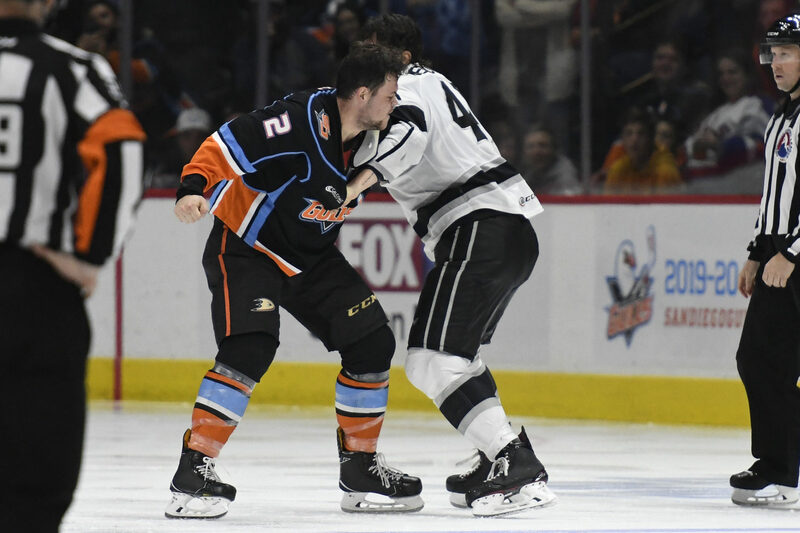 It was a fight night in San Diego, as the Reign and Gulls dropped the gloves three times on the evening. 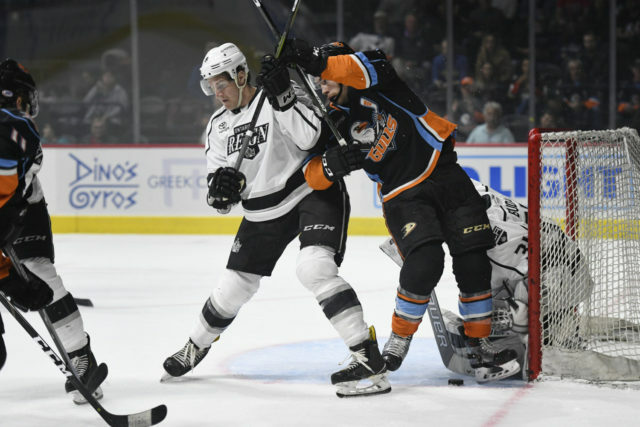 The scoreline, however, was not as friendly to the visitors, as San Diego capped off the So-Cal Series this season with a 6-1 win on home ice. Craig Wyszomirski, Jamie Devane and Chaz Reddekopp each fought on the evening, with Devane also given a double-minor for roughing on what could have been ruled a fight. Wyszomirski, and Devane’s double-minor, were each squared off against Corey Tropp, in retaliation to Tropp’s flying, high hit on defenseman Max Gottlieb in the first period. 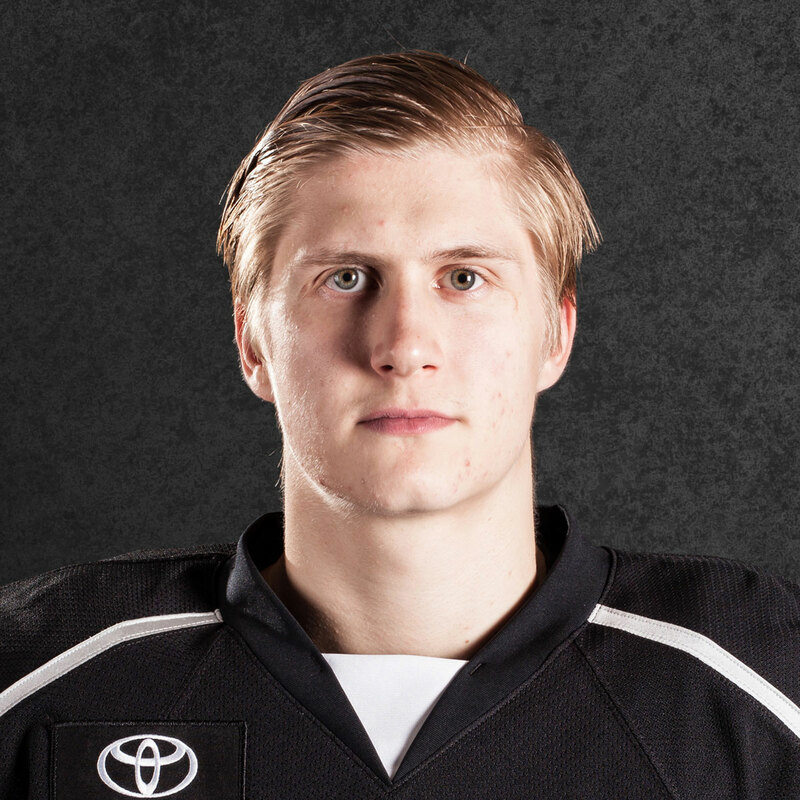 Defenseman Austin Strand tallied the Reign’s lone goal on the evening, with forward Brett Sutter collecting the lone helper on the play. 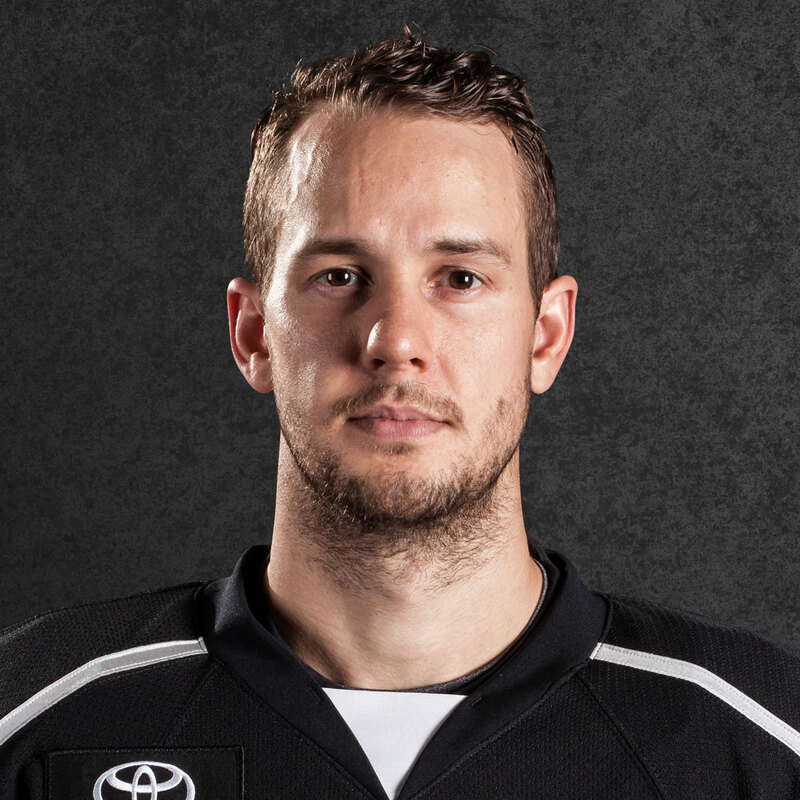 San Diego jumped out to an early 2-0 lead, thanks to a pair of goals in the first 2:33 of the game. 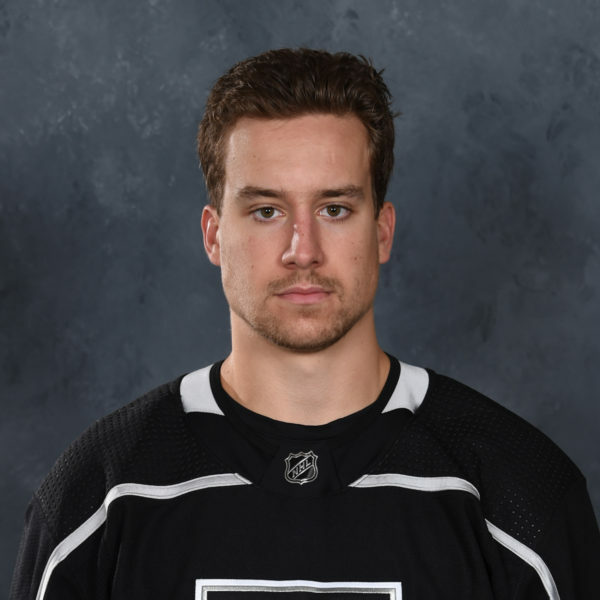 First, forward Corey Tropp capitalized on a tough bounce behind Peter Budaj, who had to wait for the puck to enter into his trapezoid behind the net, before Tropp intercepted and wrapped it in. The hosts doubled their advantage through Luke Gazdic, who drove the front of the net and redirected home a Sam Carrick feed, to make the score 2-0. 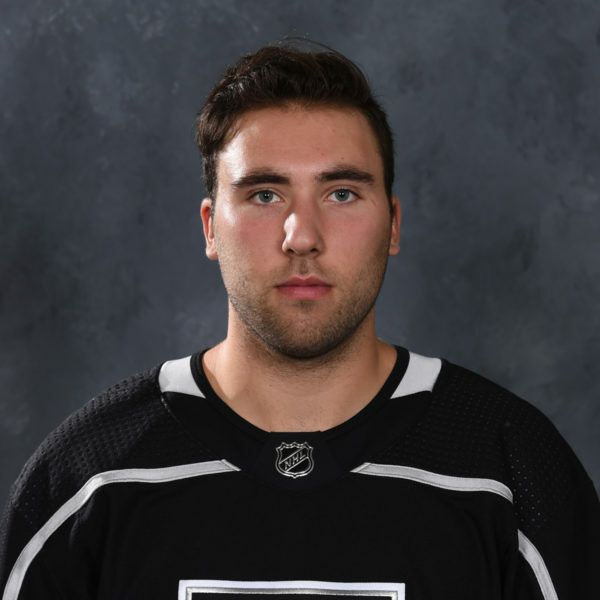 After a solid spell for Ontario, which created several chances but no goals, San Diego increased its lead to three, as Carrick collected his second point of the evening with a spinning goal in front of Budaj, after he was left uncovered in the low slot. 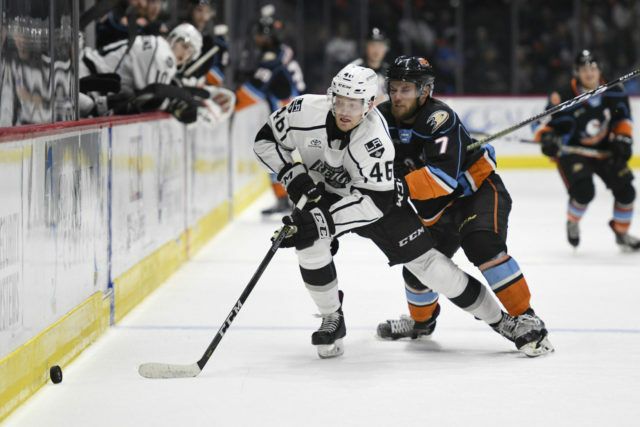 San Diego increased its lead to four early in the second period, as Justin Kloos buried a rebound from the bottom of the left-hand circle to push the score to 4-0. 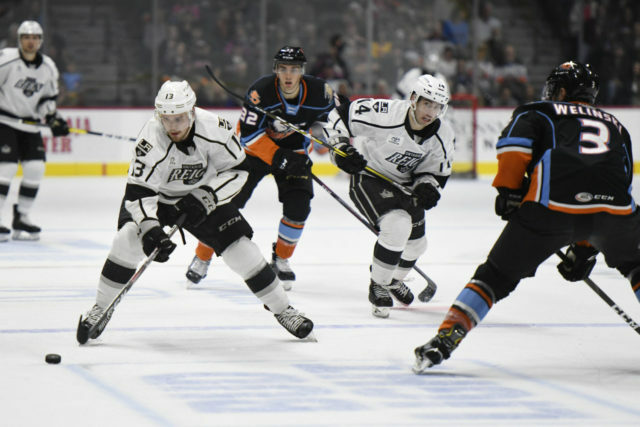 The Gulls made it five as Chase De Leo converted on a shorthanded breakaway, the third breakaway situation San Diego created in the middle stanza alone, in addition to others throughout the evening. The Reign opened the scoring in the third period as Strand converted from the right point, making a nice stutter move to the outside and firing over Boyle’s shoulder for his fifth tally of the season. The Gulls scored a late goal to bring the contest to the 6-1 final. Ontario has one more game on the docket this week, a home, Sunday afternoon tilt against Tucson at Citizens Business Bank Arena. 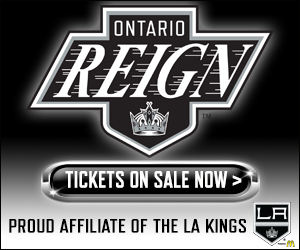 The Reign are 4-2-1 against the Roadrunners this season and Sunday’s matinee concludes the season series. Yeah, I mean obviously it’s never easy, when the outcome is what it was tonight, but I don’t know. We played a way better game against Grand Rapids, we had that one, and tonight it just wasn’t going our way. Yeah, especially when we’ve got big guys like Devo, who’s a good fighter, Wysz, Redds who are good fighters. It’s good to see everyone rally together and let guys know that we’re not going to take that [stuff], those dirty hits as a team…it’s just good to know we’ve got those guys coming back for us. I think I’ve got a good shot and I think I can find soft spots of where to get open. [Maillet] hit me with a really nice pass on one of the power plays and obviously Sutts and Mouly kept that pass going around to me. I’ve just been trying to shoot as much as I can. I thought we were pretty much in it in the first period, had breakdowns that led to goals for them, which were crucial, you can’t let that happen, but I thought were playing pretty well in the first, but we let it slip in the second. No, I think you take it to heart tonight and once tonight’s over, you just kind of wake up with a fresh start and a fresh mindset and start thinking about Sunday’s game. I think everyone’s just going to try and forget about this one and come in fresh and do what we can for our fans at home, try to put on a good shot. Obviously we still want to win every game that we can. That’s exactly how you should handle a blatant attempt to injure by targeting the head. And it’s not the first time in this rink that [he] tried to injure one of our players. He clubbed one of our players over the head with his stick while he was on his knees in front of the net. He is a good player but is reckless to the health of our team. You want to play like that, you bet we are coming. We will need to be better in our end. Too many errant passes and missed assignments tonight, so [we] definitely need to clean that up before puck drop Sunday afternoon.